She is set to marry her long-term love, Greg Shepherd, in an idyllic Maldives ceremony next year. 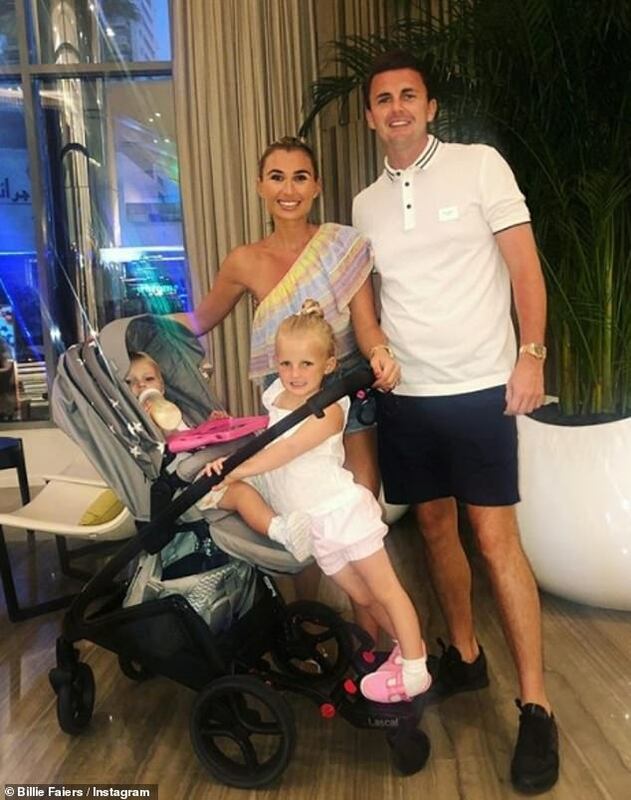 And Billie Faiers gave a glimpse into her preparations as she tried on wedding dresses for the big day with sister Sam and their mother Suzanne. In scenes from The Mummy Diaries set to air on Wednesday, the 28-year-old reality star looked every inch the blushing bride as she slipped into a plunging embellished gown. Billie later explained: ‘When you try on wedding dress it is so lovely, you just feel like a princess. The dress fitting all became too much for Suzanne, who broke down in tears after seeing her daughter looking like a ‘princess’ in the bridal gowns. ‘It’s very overwhelming when your daughter comes out looking like this princes that you always imagined she’d look like. It’s very emotional,’ she said tearfully. Billie got engaged to Greg, 33, in 2014. They share two children together, four-year-old daughter Nelly and son Arthur, one. Billie lifted the lid on her wedding plans in a cosy chat with MailOnline as she revealed it will take place in the Maldives and feature on The Mummy Diaries. The star revealed that she is now concentrating on toning her body for her wedding. While the couple have set a date, they could be seen on disagreeing on their reality show about Greg’s three stag nights. ‘There won’t be a wedding at this rate,’ Billie had said when she caught wind of Greg’s plans to celebrate in style. Sam and Billie Faiers: The Mummy Diaries continues on Wednesday at 9pm on ITVBe. You can catch up with the series on the ITV Hub.